This black and white photo features Engine 209, which resides in Gainesville, Georgia. This train was part of the Seaboard Railroad. 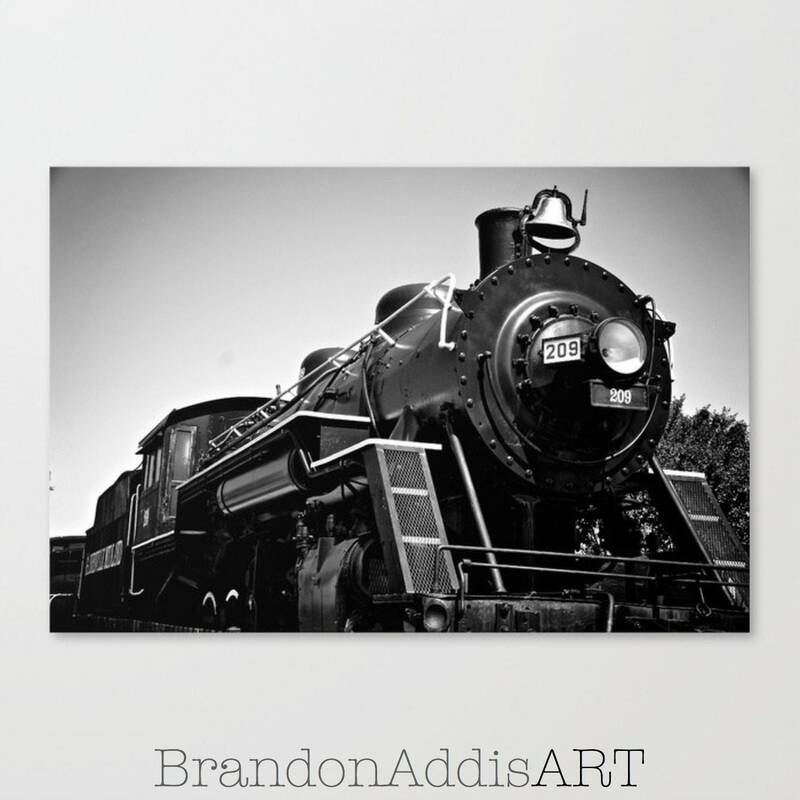 This bold industrial photo would make a great addition to your train room decor! This print is staged in the Pottery Barn Kids Catalog, Holiday 2013.